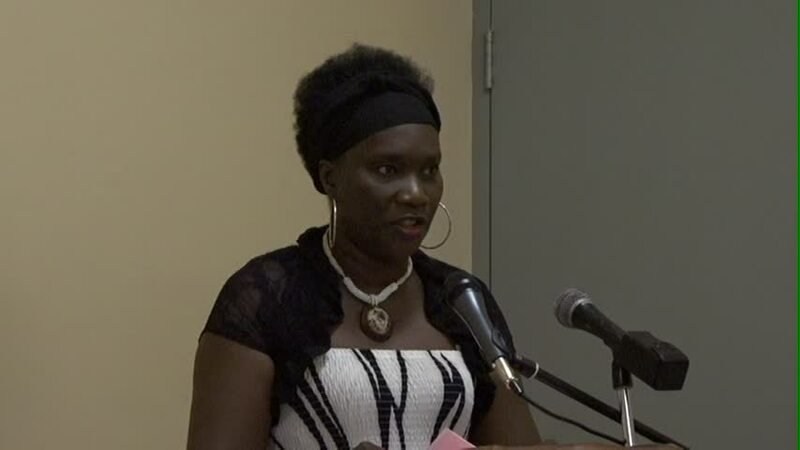 NIA CHARLESTOWN NEVIS (APRIL 28, 2015) — Gender and Social Affairs Officer Shelly Liburd says that family is the foundation of lives and the Community Family Life Programme, devised by the Social Services Gender Affairs Division, would provide persons with information, skills, experiences and resources to support, improve or enhance their family involvement. 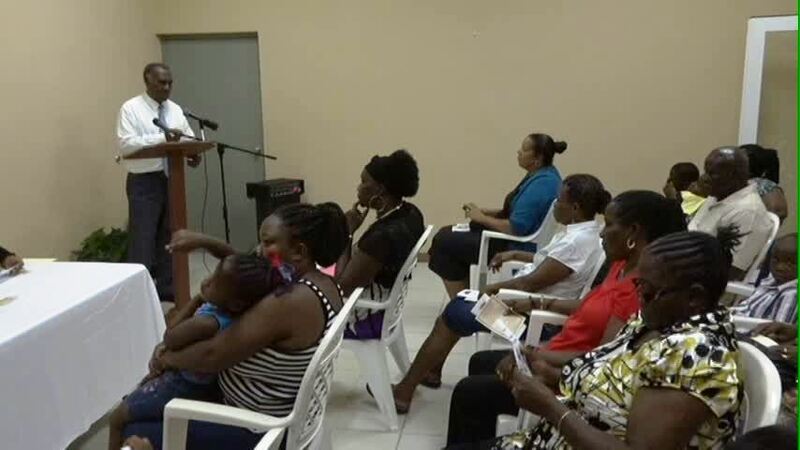 Liburd’s comments came when delivering the overview of the Programme, the brainchild of the Division’s Coordinator Lorraine Archibald, when it was launched in collaboration with the Department of Community Affairs at the Charles Walters Community Centre, Hanley’s Road on April 22, 2015. Liburd stated that having good knowledge about healthy family functions can be applied to prevent or minimize many societal problems. She also said the objectives of the programme were to encourage positive attitudes towards the family, instil and strengthen family values, address parenthood concerns, strengthen spousal relationships, create interactive opportunities for single parents and strengthen parent child relationships which would help individuals and families to function optimally. Premier of Nevis and Area Representative Hon. Vance Amory who was present at the event, in brief remarks, expressed that respect played a major role in family living. “I want to say to you that, that respect which has to form an integral and fundamental part of our family living … can be and will be essential to the close knitting of the family and the developing of the ability for that family to become strong and ward off any external forces of negativity. Within that strong bond respect will go, friendships will come, love will come,” he said. He also stated that even though resources helped in developing a family, it was not a requirement to build a solid and strong family tie. Mr. Amory also said that if individual families practiced good morals, good manners, respect for each other and respect for the law, there would be better communities. Remarks were also delivered by Permanent Secretary in the Ministry of Social development Keith Glasgow while a presentation was made by Dawny Lanns. The event which was dotted with entertainment by members of the community, was chaired by Tashron Tyson and Elmeader Brookes delivered the Vote of Thanks.